Boulder® Handspring Trainer. 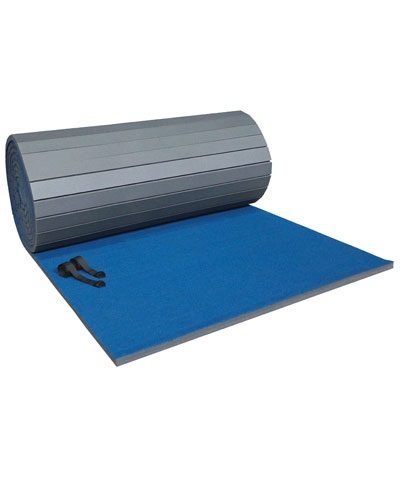 This Gymnastics mat provides an alternative means of teaching Back Handsprings. It's unique Single Flat Side design ensures that it is stable at the starting position and always automatically returns to it after each use. 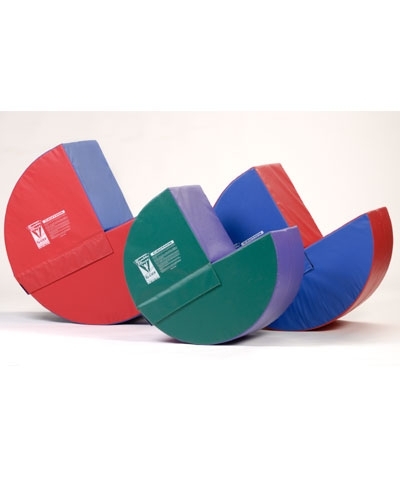 The Boulder® allows the gymnast or cheerleader to transfer their weight backwards onto the mat. After the correct weight transfer, the Boulder mat then rolls or rocks backward passing the gymnast through the correct extended body position and further onto the correct handstand snap-up finishing position. Covered in 18oz. vinyl cover and filled with 55ILD PU foam. The Boulder® Handspring Trainer 40" accommodates users from 60" - 66" (5 - 5 1/2 feet) or tall®er. Boulder® is a Registered Trademark of Norberts Athletic Products, Inc.
Boulder Holder (part# BHH) is sold separately.